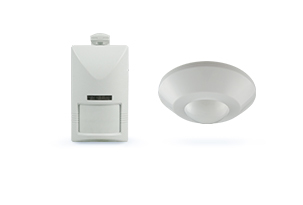 IR‑TEC offers a wide variety of occupancy sensors to provide energy efficient occupancy sensing control with the best installation flexibility for today's sustainable buildings. 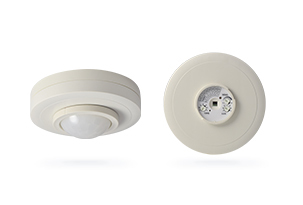 Ranging from innovative TRANS family to our legacy OS‑series, all IR‑TEC Occupancy Sensors provide reliable control and superior performance for every application. You can always rely on IR‑TEC sensors to help meet energy code compliance cost effectively. TRANS‑PIR TRANS‑PIR occupancy sensor is developed from the concept of "Interchangeable EMO", an industry leading modular design that delivers interchangeable Electrical, Mechanical, and Optical options. 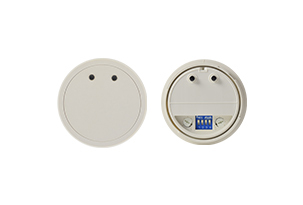 TRANS-HFD The TRANS‑HFD occupancy sensors are single sensing technology that employs a high frequency doppler (HFD) which provides superior sensing performances of minor motions. 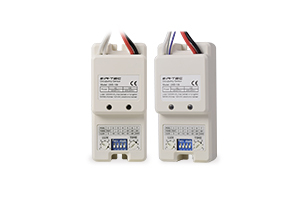 TRANS-DUO The TRANS‑DUO occupancy sensors are dual sensing technology that employs a passive infrared (PIR) and a high frequency doppler (HFD) in an aesthetically pleasing, installer friendly, low profile housing. LMx‑Series The LMx‑Series are fixture internal sensors with single sensing technology that employs a high frequency doppler (HFD) technology designed for on/off switching or multi‑mode, bi‑level dimming control. 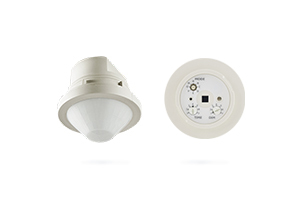 OS‑Series The OS‑Series is a group of wall and ceiling mount, low voltage occupancy sensors with single PIR or PIR+HFD dual technology in the same housing designed for wall and/or ceiling mount. 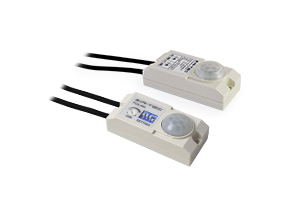 POx‑Series The POx‑Series are low voltage PIR occupancy sensors for on/off or bi-level switching, specially designed for under‑cabinet or under‑shelf lighting control.